Though most homeowners do not think about having their A/C systems frequently maintained, regular air-conditioning tune-ups can be extremely helpful for your wallet and the comfort level in your home. Your A/C ‎system is almost like a car, if you do not check and maintain parts, filters, and change fluids, the ‎efficiency of the A/C system will be less than optimal and could be prone to failures. Anytime Heating, Cooling, and Plumbing is your source for quality A/C tune-ups. Our HVAC tune-ups are performed by industry-certified technicians and backed by a company that has served Metro Atlanta since 2001. Our air-conditioning tune-ups are methodical and detailed and can help your system not just use less energy, but last longer and break down less often. We are a customer-focused company that believes in providing you with the best possible service and honest information. See our hundreds of reviews left by real people and our satisfaction guarantee! Changing and replacing the air filters. What are the Advantages of Frequent A/C Tune-Ups? When it comes to A/C systems, many homeowners think “why fix it if it is not broken?” But, there are countless advantages to regular air-conditioning maintenance that you may be missing out on. It is common to know that tune-ups are best left to the experts. For most A/C services, it is always best to schedule a service call with a skilled technician. Actually, do it yourself tune-ups can potentially damage or break an A/C system if not performed properly. At Anytime Heating, Cooling, and Plumbing, we are proud to provide the full range of air conditioner tune-up services for homeowners throughout Atlanta, Alpharetta, Marietta, McDonough and all 26 Counties surrounding the Greater Metro Atlanta area. We can visit your residential home for a pre-season tune-up or provide yearly A/C maintenance to inspect your A/C system for possible issues. 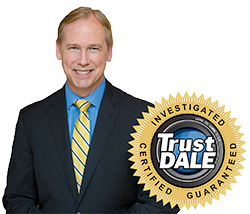 When you schedule an A/C tune-up with our highly trained professionals, you can trust that we will be there on time, provide competitive upfront pricing, and your satisfaction is guaranteed! What Services Are Included In Our Air-Conditioning Tune-Up? Our team conducts a full inspection of the air-conditioning system to make certain that every part of your A/C is in good working order. Our aim is to ensure that you stay comfortable all year long with a properly functioning air-conditioning system. Examine the overall equipment condition. During your Alpharetta A/C tune-up service, our HVAC Technicians can potentially catch and address any negligible issues before they turn into major problems. We will also inspect that your air-conditioner system is up to local codes and that the installation was properly done. For affordable, 5 star satisfaction guaranteed tune-up services, be sure to contact Anytime Heating, Cooling, and Plumbing. Doing so will ensure the efficient and worry-free performance of your air-conditioning unit. Call us today at 770-504-5881 to schedule an appointment or to learn just how affordable it is to correctly maintain your A/C system.